In the list of several social networking websites, there are some websites which help employers and companies in terms of hiring. Perhaps, if needed to pick then LinkedIn would be considered most helpful for recruitment purposes. The LinkedIn website provides better results in terms of searching professional candidates for the job. LinkedIn website is not just helpful for job searching candidates, but it is also beneficial for business establishment and networking as well. To register a person’s professional profile, an employer need to fill in all the necessary details. The details entered in a profile need to be true because this profile can be helpful to another employer. It acts as a link between the employer and the skilled professional. Moreover, the employer can recruit an experienced candidate for the job they needed. And other than that a startup company can advertise about company activities to build their network. Entering personal details in the sense, entering user’s first and last name, date of birth information etc. Once these information is filled, the user will be directed to the next sign up procedure. Few stages of signing up can be skipped, but some of them are mandatory. Before verifying an Email address the user will be advised to enter a valid Email address. A valid Email address is required to communicate with the LinkedIn customer care team for any support or issues. Moreover, a valid Email address can also be used at the time when the user enters the wrong password or forgets password. To redeem that password a link sent to user’s valid mail address can be helpful. Every official website asks for a password creation. A password needs to be of six or more characters which includes numerical aspects. 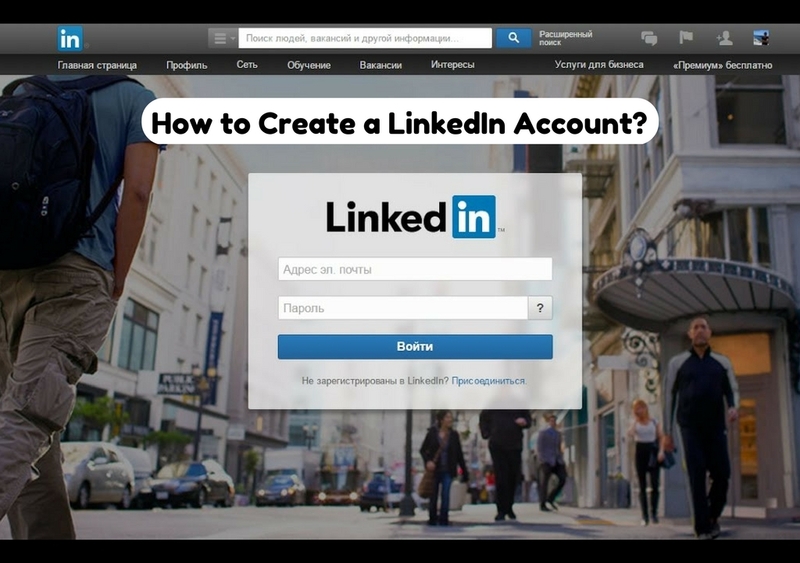 And once the password is generated the user can log in to the LinkedIn account easily. The main purpose of this password generation is that it provides protection for all the users and account. An account creation requires completion of several instructions. Some of the instructions filled in would be mandatory and some can be skipped. But most of the details entered for the sake of an account creation help in handling it smoothly. As the LinkedIn profile clearly deals with professional recruitment and other business, all the information displayed on the user’s profile should be true. When a user ends up filling all the sign up details, then the user will receive an account confirmation mail. Then user can use his professional LinkedIn account without any problem. By clicking on the link provided, the user can access the LinkedIn page. And after clicking the page, look for the log in a hyperlink. This log in hyperlink directly opens up the users LinkedIn account. While clicking log in link, another step pops up. And that is Log In info page. In this page the user needs to fill in the username and the password. This username and password were generated earlier as its explained above. After submitting correct username and password, the user has to click on login sign. And once the user clicks on login sign, within a matter of seconds the home page of the user pops up. Apparently, the home page provides an overall professional information display of the LinkedIn users. Sometimes people worry about their personal and professional details online. And for that sake they hold themselves before enrolling in such websites. But the LinkedIn website provides complete safe and secure information storing. And the register user only will be responsible for all the activities conducted. There are several benefits of LinkedIn profile. Most of common benefits can be for those who are in search of professional employees or companies building their network. The LinkedIn profile acts as a connection between the employer and the employee. The main purpose of the LinkedIn profile building is that it helps in the recruitment process of the company. Each profile of the users provides detailed information about the company and their business. The recruitment process of any interview sessions depends upon their candidates. And these candidates can be extracted using their professional appearance. But using LinkedIn, the employer can shortlist such candidates for the job who are capable of handling the responsibilities of the designation of the company. With the help of LinkedIn website an employer can reach a position where his business can build network on the basis of their good will. And most of the users have a common belief that LinkedIn account can be used in limited ways. But with the help of this profile the employer can also hire employees on a freelance basis. Where in which they can share their completed projects and many more. To develop a business the company need to build a strong network. The creation of networking increases viewer traffic to a certain company. Most of these networking activities are essential at the time of starting up a new business venture, as it requires networking to expand their business worldwide. And LinkedIn profile helps in building traffic for the business in a virtual basis. Most of the benefits of the LinkedIn profile are mentioned and explained above. But some of the additional benefits help you create a updated LinkedIn user’s profile. The LinkedIn account building creates a professional work page for the company and their employers. Moreover, it’s like a blog page wherein which all the employees and the employers can update necessary details about their professional skills. And other than that, they can post their project activities as a proposal for their job opportunity. It quite seems repetitive, but LinkedIn profile connects employers from different field of work. For example, most of the company holding a LinkedIn profile maintains relationships with other similar business entities. Therefore, these companies can help each other in searching a suitable candidate for the post. In this way the user can build a better relationship with the rest of the LinkedIn users. When a user registers himself on LinkedIn website, then he receives constant updates regarding his page and other users’ skills which matches with the user. The LinkedIn profile helps in meeting new people whom the company is searching for many years. The professionals with required skill get to see their perfect employers. LinkedIn differentiates users skill and knowledge about certain task or work. And on the basis of such task some of the users created a group highlighting their professional skill. For examples, employers owning a web development business requires candidates with web designing skills. Therefore, some existing users create such group for web designers where they can meet professional companies who are searching for such professional employees. It is one of the best search engine optimization marketing group available. This group has held first position in the LinkedIn ranking of the best SEO marketing groups. The main objective of the company is to analyze and determine the expectation of clients’ requirement. And providing all sorts of online solutions for their professional issues. The major professional companies who sought their candidates with this are Tree House, Flying Bison, Expedient, Espada and RiverCity. The networking group invites LinkedIn registered users who owns a networking business or those who helps in building network. Building network develops company presence quite positively in terms of success. Therefore, some users invite those networking experts in their group and build relationship with them professionally. Similarly, LinkedIn approves professional group. In this group of LinkedIn users all the companies involve professional employees of their company. The professional employees are those who are expert in handling certain task. For example, employees who are skilled computer specialist, marketers, web researchers, writers and many more. The digital marketing group handles all the e-marketing exposure necessary for required clients. It delivers professional help for building virtual web pages for their clients. Moreover, the digital marketing group on LinkedIn is categorized as the top group available. Additionally, the company offers personalized and customized web development for all of their users. And the major companies collaborated with LinkedIn hiring professional employees to their team. As compared to the rest of the mailing websites, LinkedIn provides adding maximum of 50 people at a time. While emailing a user is supposed to add a certain number of people within an Email. But LinkedIn provides a huge space of work which allows connecting with people in less space of time. Moreover, LinkedIn accounts are one of the popular professional website available. LinkedIn profiling provides two different types of connection. And one of the connections would be internal connection. As per this internal connection, the user can track down those existing LinkedIn users. Especially, those users who shared similar profession, but lost contact because of some reason. And with the help of LinkedIn, people get to reconnect with their old professional friends. As mentioned above, another type of connection mentioned other than internal connection would be external connection. With the help of external connection the LinkedIn user get to search for some new professional employees for the job required. The external connection acts as a connection between different entities. These entities share the same subject information in their field of work. With the use of LinkedIn profile the user can access those professionals who are out of LinkedIn area. Which means the existing user can invite others with skills who can benefit with these connections. The candidate contact or inviting might meet employers suitable for their type of skill. Some of the categories of the LinkedIn profile delivers employees of the company who expect right candidate for the job they offered. And to deliver that service the LinkedIn acts as a human resource team who shortlists professional and experienced candidates for the job. And apparently, the company finds a suitable candidate for the job. The LinkedIn team does shortlisting process in a lesser amount of time. Finally, the bottom line is that LinkedIn website is one of the beneficial aspect of digital marketing and recruitment. Various companies, employers and professionals take active part in these LinkedIn groups and discussions. The major advantage of LinkedIn Profile creation is that once it’s created, then employers search for the skill necessary for their company not the candidate. Next articleProblem Solving Questions: What are They – How to Answer?